Google: Nexus 4 will be available again "in the coming weeks"
As planned, the highly anticipated LG Nexus 4 smartphone landed on the Google Play store yesterday, but the ordering process was a pretty bumpy ride for everyone who tried to purchase one, us included. The overwhelming demand easily crashed Google's servers to the frustration of a great fraction of buyers who were unable to finalize their orders. Currently, the smartphone is officially sold out, and the Google Nexus 10 tablet is in low supply as well. There’s been so much interest for the Nexus lineup that we’ve sold out of some of our initial stock in a few countries! 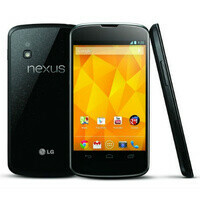 We are working hard to add more Nexus devices to Google Play in the coming weeks to keep up with the high demand. In this case, "in the coming weeks" doesn't sound like too encouraging of a statement. And something tells us that once the next batch of Nexus 4 smartphones becomes available, ordering one might once again be a difficult task. For the time being, one might consider getting the hot handset from one of the select T-Mobile stores. I really want a Nexus phone but, I have had horrible experiences with LG phones. I'll be waiting on another manufacturer. Wow, "in the coming weeks". Well, let's hope this doesn't turn into another episode similar to when the Galaxy S3 was initially being released to carriers (AT&T, Sprint, & Verizon) in the States. Big G's product planning here has been abysmal. I am tempted to think they ordered an initial batch based on a pricing model comparable to the Galaxy S3 but a bit cheaper - say $500-550 per handset. The suddenly someone come sup with a new pricing model, focusing on getting people immersed in the pure Big G world, and suddenly the up front price becomes secondary. Then the decision is made to drop the price to the insane levels we have today...and no really joins the dots as to what this will do to projected demand. How did they come up short? Apparently the demand was much higher than they expected, so they sold out in a short amount of time... Not too hard to accept. Between the order processing FAIL and the limited supplies released, Google gets the Step-on-the-Rake Award (where the rake handle flys up and hits the award recipient in the face) for 4Q2012. And we are just into the quarter, no less. Wow. Nokia was an early favorite based on their ham-handed release of photos allegedly taken with an L920 PureView camera, but Google reached deep to blow past Nokia.